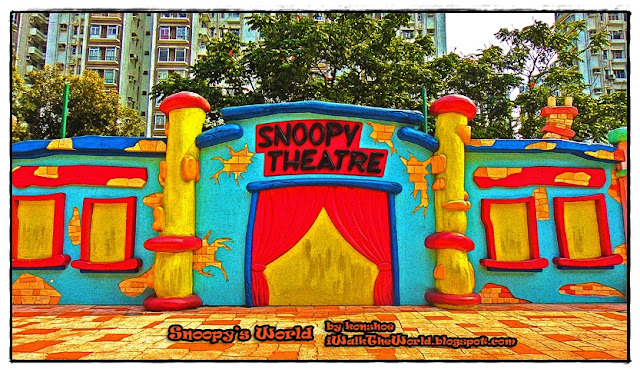 Snoopy's World in Sha Tin is no mere playground - every section of the playground is fun-filled with different type of interactive adventure for kids. 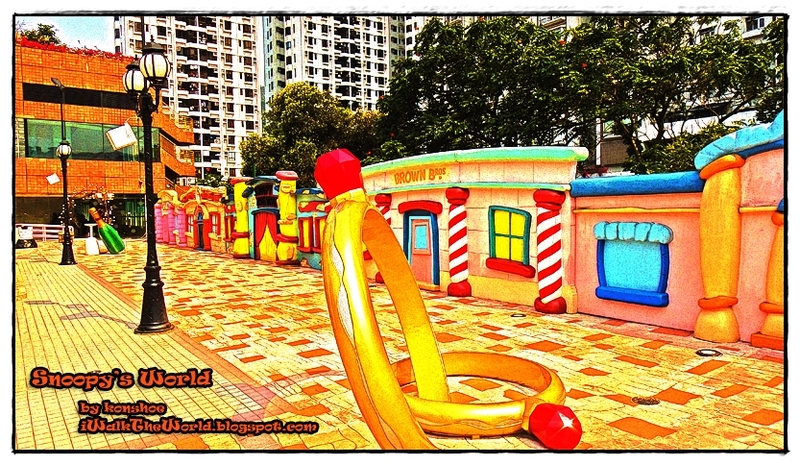 Even adults are drawn to the playground to have snapshots with their favorite characters in different poses. 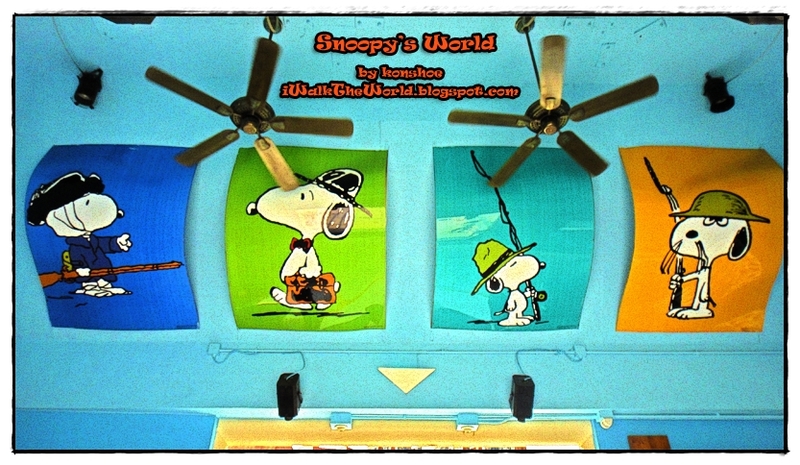 If the visitor cares to look up when he is within the doghouse at Snoopy's World's entrance, he will be rewarded with pictures of the adorable beagle in its different poses. Remember the huge doghouse of Snoopy's which serve as the entrance to the playground? 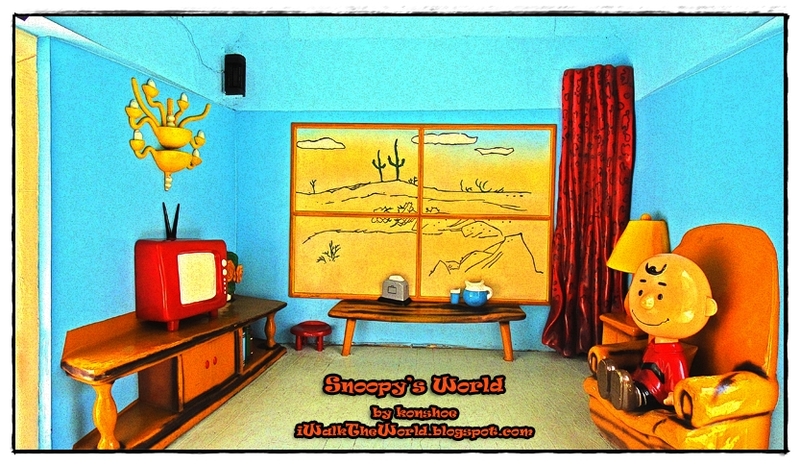 Seems like Charlie Brown is seated comfortably on a sofa watching TV in the doghouse! Snoopy's World caters for wedding occasions as well, and a section of the playground is dominated by huge casts of wedding related items. 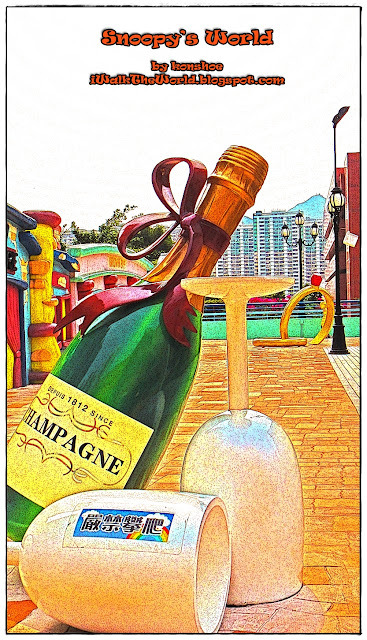 A pair of entwined wedding rings and a champagne leaning against two glasses will make any wedding proposals and oath of matrimony meaningful against such backdrop. And a huge champagne is available for you to celebrate a successful proposal as well! Both the rings and champagne are situated in a cartoon themed "street" at the furthest end from the entrance. 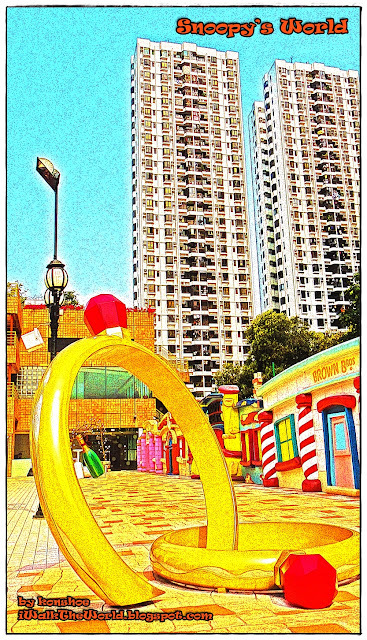 The play ground may enchant the kids but adults, especially ones with cameras, may be drawn to the furthest end from the entrance. A mock-up street with its own shops carved on the wall recreates a world that brings the more imaginative ones into the fictional world of Snoopy. 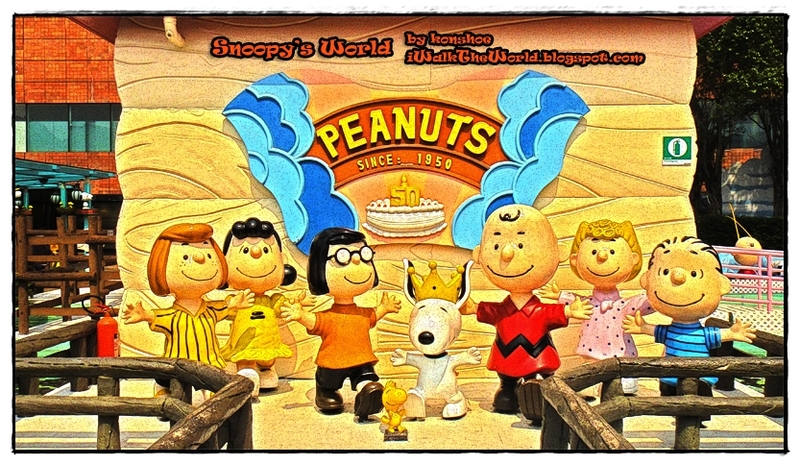 The whole gang of Peanuts awaits your embrace!